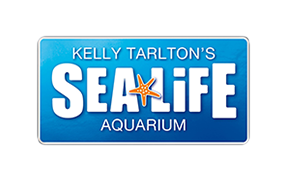 The SEA LIFE Kelly Tarlton's Behind the Scenes Tour allows you to discover more about our fantastic aquarium - perfect for budding marine biologists, conservationists or anyone who wants to learn more about our daily operation! Please arrive no later than 12:40pm so that the tour can depart on time. We strongly advise prebooking to guarantee availability, please visit here to purchase our All Inclusive ticket which allows all day admission and the Behind the Scenes Tour.